In all the excitement today (Fox Business News appearance this morning, then graduation ceremonies on the bluff overlooking the Pacific Ocean in Malibu for the 2016 class at Pepperdine’s Graduate School of Public Policy), I almost forgot that it’s Lenin’s birthday Earth Day! Actually Earth Day has become quite a bore, and the sheer repetition of reminding folks of the invincible ignorance and malice of environmentalists is equally tiresome, but out of duty, see Mark Perry’s perennial reminder of the wrongheadedness of environmental predictions. Let’s also remember the story of Ira Einhorn, one of the founders of the first Earth Day who later murdered his girlfriend and then composted her body. Hey—at least he was practicing recycling, even though recycling is mostly stupid and environmentally wasteful. Since Americans first heard the term global warming in the 1970s, the weather has actually improved for most people living in the U.S. But it won’t always be that way, according to a new study. Heh. 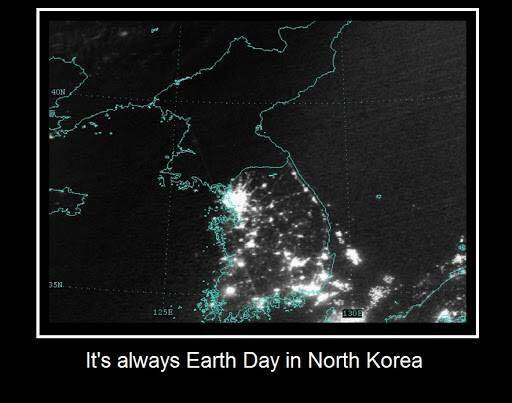 Now that is great Earth Day news.